Squeeze and cut. 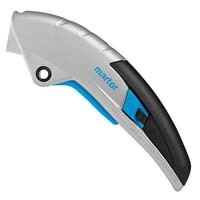 Simply squeeze the smooth-running lever and extend the blade. 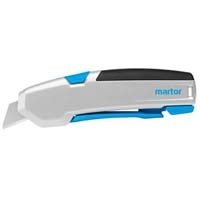 With a 15mm cut depth, the Mizar is perfect for 3-ply cardboard and splitting thick rolls. The release the lever and the blade is quick to return to it's housing. 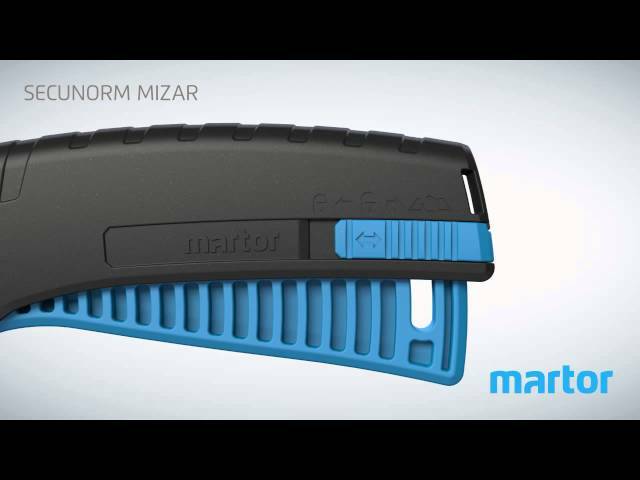 After use, just slide to lock and the Mizar is secure. 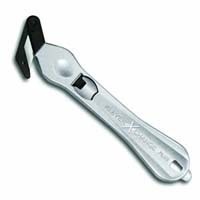 The slimline SECUNORM MIZAR is your gateway into our world of quality squeeze cutters. Instead of a slider, a lever is responsible for releasing the blade. 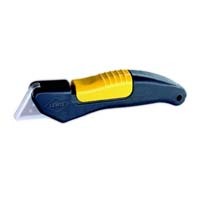 Thanks to a relatively large cutting depth, you can use this cutter to cut all common cutting materials. No tools are needed to change the blade. Two hands can do the job. Move the 3-in-1 activator to position "blade change". Swing out the lever, flip the blade cover, replace the blade. Close the cover, store the lever, continue cutting! Before you need to change the quality blade, you have the chance to turn it over once. 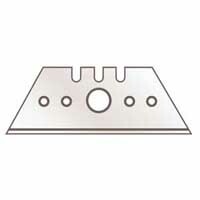 Usage time of the blade is doubled and fatigue is held at bay: with a simple flip of the blade, your product will cut like new.